“A number of other drug companies paid over a billion dollars in punitive settlements over that same span. Below is a list of seven of the most expensive ones. That list doesn’t include the dozens of other Big Pharma corporations that paid out lesser, “just-the-cost-of-doing-business” payments that were only in the hundreds of millions of dollars. One of the oldest and biggest pharmaceutical companies on the planet is New Jersey-based Merck & Company (known outside the US as MSD – short for Merck, Sharp & Dohme). Merck was once a German company (now international, with its head offices in the US) that is, technically speaking, 350 years old this year. Given its recent stock prices, it is having a happy birthday year ($55 per share last spring and $80 per share a few days ago). Merck & Co was born when Friedrich Jacob Merck bought a small apothecary shop in Darmstadt, Germany in 1668. Friedrich’s shop sold the usual items of his era, including tobacco, wine, spices, herbal “remedies” and any other products that his customers regarded as potentially healing agents. Apothecaries were the precursors of modern-day pharmacies. The owners frequently dispensed medical advice, although they were not licensed physicians. In 1827 – a century and a half later – one of Friedrich’s heirs, Heinrich Emmanuel Merck, converted the pharmacy into a drug manufacturing facility – and the rest, as they say, is history. Among the first products that Merck manufactured and marketed were the highly-addictive substances cocaine and the two early natural opioids, morphine and codeine. They were all over-the-counter drugs at the time. “WHAT VACCINES ARE KNOWN TO BE ASSOCIATED WITH TRANSVERSE MYELITIS? Eight confirmed or probable cases of acute flaccid myelitis (AFM) this year in Texas. On Tuesday, officials in Minnesota said they have seen six cases. They typically see zero to one cases of AFM per year, on average. ABC News reports nine cases were diagnosed recently in Illinois, five cases in Washington state, and a single case was confirmed in Wisconsin. Acute Flaccid Myelitis (AFM) is now in multiple states!!! All would have been diagnosed as polio in the 50’s. All of them. CNN says, The US Centers for Disease Control and Prevention reported a spike in a mysterious polio-like illness, confirmed this year in nearly half of the states in the country. Most of the cases are in children. Like polio, AFM affects the body’s nervous system — specifically, the spinal cord — and can cause paralysis. What we do not know: the exact cause of the illness, though scientists think it is most likely the result of a viral infection. Other potential culprits include environmental toxins, genetic disorders and Guillain-Barré syndrome, according to the CDC. The CDC said there have been 362 cases of AFM recorded in the U.S. from 2014 to 2018. Acute Flaccid Myelitis (AFM) is a variant or sub-type of transverse myelitis. AFM is inflammation of the spinal cord and generally presents with unique clinical and MRI features that are not typical of classical transverse myelitis. AFM abnormalities noted on MRI are predominantly found in the gray matter of the spinal cord. In 2013, an outbreak of what is now believed to be this sub-type of transverse myelitis occurred in California and more cases were reported in the summer and fall of 2014 across the United States. The enterovirus (EV-D68) has been suspect in many of these cases however, it has not been definitively proven that it is this particular virus that has caused the paralysis,1 although several cases of AFM occurred at around the same time as an outbreak of the EV-D68 virus. This phrase or one similar can be found on just about every vaccine package insert and should be justification for any reasonable person to decline vaccination. However, doctors are not required to give full informed consent regarding vaccines and most people blindly trust their doctors. Considering the recommended vaccine schedule has tripled in the United States over the last thirty years, parents have begun to question whether this is necessary or valuable to their children. In 1983, children received up to 23 doses of eight vaccines before the age of eighteen. Today children receive as many as 69 doses of 16 different vaccines, all given by the age of eighteen. Coinciding with the ever-increasing vaccine schedule are soaring rates of chronic illness in children, including cancer, which has skyrocketed and is now the leading cause of death by disease in children past infancy. Government authorities refuse to acknowledge any link between cancer and vaccination, but could injecting toxic chemicals repeatedly into our children, especially at critical intervals in their development be causing cancer in so many? The HPV vaccine continues to be one of the most controversial vaccines in history. Numerously reported side-effects stemming from the Gardasil shot have caused parents worldwide to clamor at the thought of giving it to their teenage children. New Jersey, in fact, is attempting to make the HPV vaccine mandatory, which tells you just about everything you need to know about how parents likely feel over the matter. In 2018 already, there have been 85,329 reports of adverse reactions to the HPV vaccine, as reported by the VigiAccess database. Now, Merck is being accused of “fast-tracking” the Gardasil vaccine, according to GreenMedInfo. Back in 2016, a California family filed a complaint with the Superior Court of the State of California against Gardasil maker, Merck. They claim that their daughter received the Gardasil shot three times over the course of a year starting in 2010. The girl, over the next few years, would be diagnosed with POTS and later on, a small fiber neuropathy that affected her entire body. Her family became convinced that their daughter’s health issues stemmed from the Gardasil shots she took in the years prior. The family has accused Merck of deceitful marketing practices and rushing the drug to market. 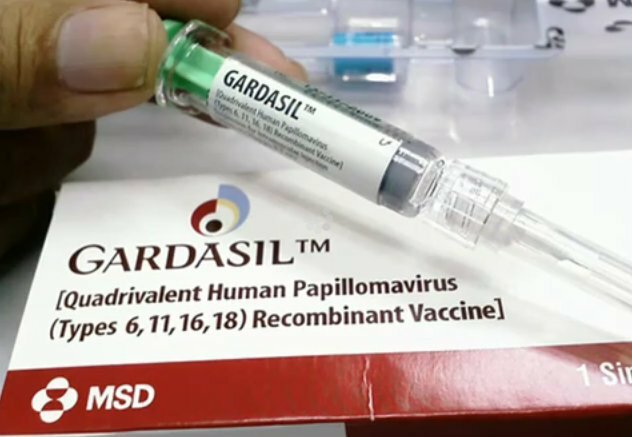 Dangers of Gardasil Vaccine: Mom? Dad? Did you know?? Read the entire final decision here. It has been over a decade since I came to the realization that the entire profession of medicine had been bamboozled by the propaganda coming from the Big Pharma drug and vaccine maker Merck & Company that its so-called “fracture-preventative” drug Fosamax had defrauded us doctors and our patients by falsely claiming a “50% efficacy rate” in the prevention of bone fractures in osteopenic/osteoporotic women. I had always been suspicious of pharmaceutical sales reps and the Big Pharma corporations that they worked for, and I had wondered exactly where they got the 50% effectiveness figure. So I finally got around to actually digging into and studying the clinical study statistics that were in the FDA-approved product insert that all drug and vaccine makers are forced to publish and include with the product (and which only a few physicians ever take the time or inclination to read). Lying buried among the large number of boring statistical verbiage were printed the numbers that revealed that the 50% efficacy rate for osteopenic patients who took Fosamax for 4 years was actually a deceptive relative risk reduction (RRR) figure that drastically deceptively over-stated the effectiveness of the drug.